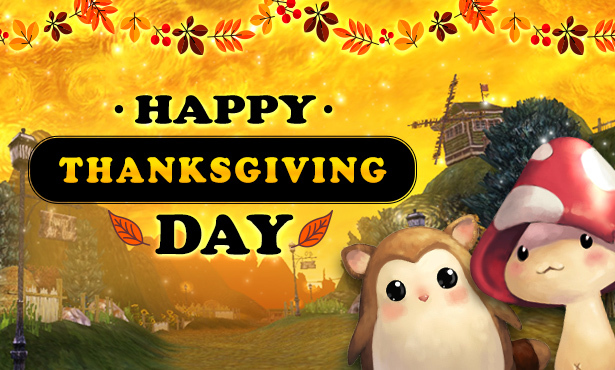 [EVENT] Thanksgiving in Atlantica Online 2018! As the season of Thanksgiving approaches, hungry beasts have raided villages across the nation! You have been asked for a favor to return the turkeys back to the Native American Tribe! Good luck hero and save the symbol of Thanksgiving! You can get the [Turkey] for every hour that you are online, earn up to 50 per day. * Accumulative time reset at 00:00 daily. Players can encounter a [Thanksgiving Bushbeast] randomly on battles. These creatures have stolen Turkeys across the land! Stop them and retrieve the turkeys! * Some dungeons and TBS don’t have [Thanksgiving Bushbeast]. Exchange your turkeys for some valuable mounts! [Turkey] and [Gold Turkey] can be exchanged to other items from NPC [Thanksgiving Native American] in New York. * ALL MINOTAUR SET ITEMS CAN ONLY BE REDEEMED ONLY 1 TIME. These bait has a good chance of getting a Turkey from the sea?! It also gives a chance to get a Golden Turkey! [Turkey Bait] costs 5 million gold per lure. Have a wonderful holiday Atlantians!